It's not the first time that we see a fish aquarium theme that's worked into a mobile slot, and it definitely won't be the last. This time, Yggdrasil tackle the fishy task of making a somewhat childish theme into a slot that's not only visually appealing, but with great gameplay and features too. 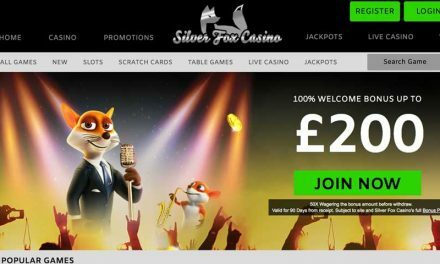 We take a look at what you can expect from this slot and advise you where you can find it come launch day, the 24th of February. Last year saw many excellent releases from Yggdrasil, such as Nirvana and Holmes and the Stolen Stones. Pretty much all of them have been great: imaginative, unique and offering decent return-to-player percentages. So we expect nothing less from Golden Fish Tank that looks vibrant, colourful and with a handful of decent features too. If a fish tank theme sounds about as interesting as watching paint dry, then we beg you to reconsider this humble mobile slot. Although it might not look like a very unique or innovative game, you must keep in mind that it was developed by Yggdrasil, so even with a theme like this, it's bound to be at least half-decent. Actually, scratch half-decent and think ‘exceeding expectations‘ instead. With quite a few features packed into Golden Fish Tank, the brilliant design and graphics are just the cherry on top. The game has five reels and twenty paylines, as is standard in the industry, as well as many features. Plus, the return to player percentage is a high 96.8% and the maximum win is 34,000 coins, both of which should make everyone happy. Three Scatters will trigger Extra Spins and 18 objects will then float up from the bottom of the screen. You then get to pick one, two or three of them for a random bonus to be applied to all of your Extra Spins; they can range from multipliers, random Wilds, extra Extra Spins, Super Stacked symbols and other goodies too. And how many Extra Spins and bonus picks do you get? Well, that depends on how many Scatters show up on the reels. Three Scatters award 6 Extra Spins and 3 Feature picks, four Scatters award 8 Extra Spins and 4 Feature picks, and five Scatters award 10 Extra Spins and 5 Feature picks. There isn't much more information around yet, despite the fact that the slow is coming out in less than a month, but that's totally what Yggdrasil do. They don't create as much hype surrounding their game before the launch, but count on the game itself to do all the talking and draw gamers in. So jump right in – we hope you're a good swimmer!